If you’re been waiting for the right time to pick up a new Kindle E-Reader at a great price, we told you about a killer sale last week that slashed an extra $15-$20 off certified refurbs. If you missed it, we have some good news! 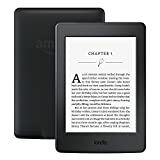 Amazon’s sale is still going strong, which means there’s still time to snag a Certified Refurbished Kindle Paperwhite E-reader or a Certified Refurbished Kindle E-reader at what will very likely be their best prices until Black Friday.